This shows all you need to see about the kit, plus my lean on different wheels and the Valvoline decals from Pattos Place. 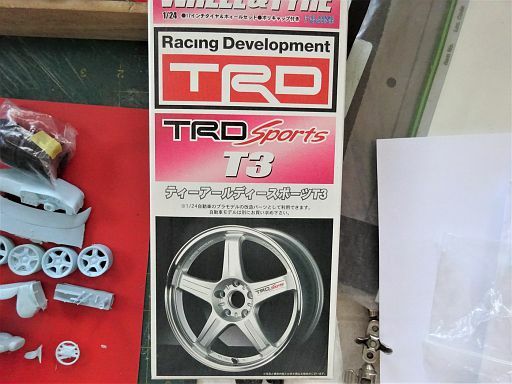 The kit has everything to build/modify to a race car.. All body/glass/interior and tyres. Soon after I got it I had an email from the producers saying to take the tyres out of any plastic wrap or bags they might be in as they degrade quickly. That's why you see an extra set of my tyres, their tyres are sticky and stuck together and extremly soft, so I have today separately wrapped them in cooking foil and put them in the freezer! So I will then add rollcage, racing seat, decal belts (my own printed) etc to hopefully complete a Holden V8 Supercar! Of course the bonnet can be cut out and a suitable engine/trans added if wanted. 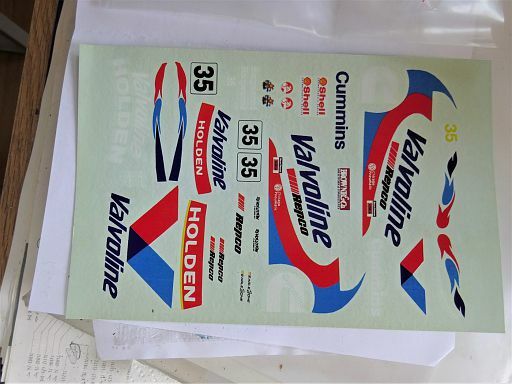 I've just found the receipt, Scale Automobilia .com.au and look under resin bodies and it's VX Holden Commodore Club Sport #CV2406, but it's listed as unavailable. But there are a lot of other earlier kits on there! They are based at 44 Skinner Street,Grafton, NSW 2460.
should make for an interesting subject. 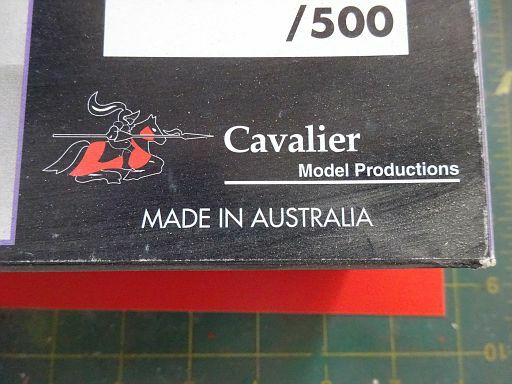 i've built a couple of Cavalier brand kits. they are ok, but lacking detail. As a fan of Jason Bargwanna, i've got a couple 1:18 valvoline cars, too. Thankyou so much for those pics and the info. I went on ebay and saw nothing like what you have pictured Using that info I will take another look around. I will keep you posted regarding my search. Thanks again. Go straight to Scale Automobilia, I didn't find them on ebay. The only resin car body specialist on ebay seems to be Jimmy Flintstone. There again our ebay covers mainly UK makers/distributors. Patrick, this is like the last Pontiac GTO imported into the U.S., right? Should turn out really nice. Ah DRUMS01, I wouldn't know about that (Pontiac GTO)but I hope it does when I get round to it! The Pontiac GTO was Holden Monaro - a 2-door coupe. Probably built on the same chassis, though. BTW, Scale Automobilia is a great shop to do business with. Don't be afraid to order from them just because they are in Australia and you're not. Yes I know the Monaro, we saw a few in OZ recently! Probably built on the same chassis, though. Thanks for your comments aussiemuscle308. There were no 4-door Pontiac GTOs and the body is not the same as the Pontiac G8 or Chevy SS (which were Holden Commodores), the other Aussie imports to the US. OK mike. But if you send them an email there might be enough enquiries to run off another batch! Thanks for the info VintageRPM. Thanks Steve, for that info. have a look at thepartsbox.com, in Adelaide, Australia. check out my post history, i've built a few of their resin kits. 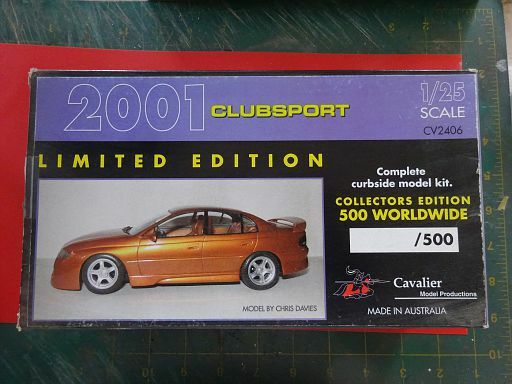 Hi mate, you can get the VT Clubsport from a page on Faceboo, they also do a few other resin Holden bodies also. I’m keen to see what you do with this model as I also have one of the Cavalier VT Clubsports but I’m thinking of doing mine as a detailed kit with an LS1 moto. Nice to see an aussie car being built. Thanks for the info, hopefully I'll get this built this year. There was a problem that the buyers of these were made aware of,............The tyres were/are extremely soft, so to separate in the boxes nad put them wrapped in cooking foil in your freezer. I've just fished them out and they are still mighty soft and sticky, so won't be using them, as when they are on the resin wheels and stood up the tyres go flat! I'm pleased to have sourced some after market wheels and tyres!